Are you speaking just to customers when you discuss your value proposition? 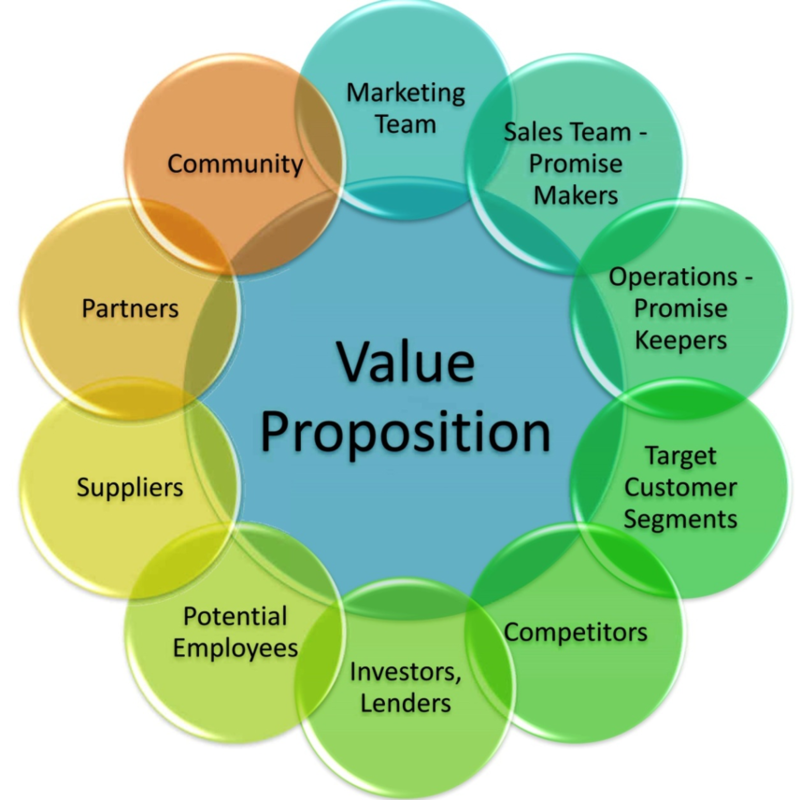 In my last post, I discussed the importance of clearly articulating your value proposition. Many who are reading this series of posts will conclude that the message, your value proposition statement, is intended for potential customers to create demand. This may be your first motivation, and it may be a good reason for clearly telling the story about your business. I would like to suggest a broader view. There are other audiences who benefit from clear articulation by the leadership of the business. The audience for your value proposition message is more than just potential customers. Begin with the inside of your business. If marketing, sales, and operations teams listen to and observe the way you present the company and the problems you solve for customers, they will mimic your behaviors. This is not exactly a new concept. Early in my career, I worked for the Maytag Company. At the time, the company invested heavily in national television advertising with ads that featured “Old Lonely”. 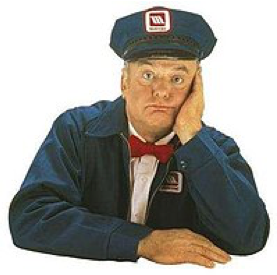 Old Lonely was the Maytag Repairman who was bored because he had nothing to do. The point of the campaign was to emphasize the reliability and long life of the product. “Old Lonely” was a marketing campaign which could have been a Don Draper idea in a script for “Mad Men”. Every month there was an after-work event for the “Management Club”; as in “Mad Men” an open bar, and Maytag Blue Cheese and crackers. When a new version of the ad was created, it was part of the agenda. Everyone in the company knew we had to live up to that reputation in the way we made everyday decisions. The story was being told on national television. You can be sure that any business proposal which threatened quality trumped any decision which might save cost or be associated with another motive. Quality was always the top of the pecking order when it came to considering change. Visitors saw the testing labs, the inspection processes, and the engineering effort which went into maintaining the reputation of the company. Customers and potential customers will always interact with people on the inside of your business. The greater the alignment in messages and behaviors, the more they will build their trust. Your employees on the inside will appreciate the efforts you put into clear articulation. In many companies where articulation is unclear, employees, especially salespeople, will develop their own ways to present your story. The result is confusion and perhaps even contradictory messages. The message also has a role in employee retention. When your employees believe you “know what you are doing”, they will buld pride in their company. Everyone likes to be associated with a winner. Your articulate value propostion will enhance that image. Where do outsiders learn about your value proposition? The number one way in today’s business world is through your website. The public view of your company on the outside is a message which goes to more than just your potential customer segments. Visitors to your website may also include competitors, investors and lenders, potential employees, suppliers, partners, and others in your community. For a big part of my career, I was heavily involved in new product development. This may seem counter-intuitive, but I noticed the more a competitor knew about something we were developing, the more likely they were to avoid copying our efforts. I will admit that the most of our efforts were not exceptionally unique and not patentable (or worth the time, money, and effort). Our product development goals relied on pushing the volume of new products. What intrigued me was the competitive behavior. Most people who want to be creative try to be “different”. There’s no personal satisfaction for a creative person to be a copycat. The competition knew our value proposition and wanted no part in confronting us in a battle where our company strengths were in play. Investors and lenders also do their diligence on your company. I’ve seen a number of situations where analytically a company was a good candidate for investment, but emotionally not a good candidate. Sometimes an investor or lender simply makes a decision based on gut feel. If your value proposition is clear, they will have confidence you “know what you are doing”. Potential employees also want to understand your company. They want to know what it is like to work there. Does management give clear direction? Is it obvious what it takes to advance? Will this assignment look good on my resume? Suppliers and/or potential suppliers also study your company. If they have a new product or service which they believe could benefit your company, wouldn’t you want to hear their pitch? Clearly stating your value proposition makes it easy for them to find you. If they really have something valuable, you could benefit from being an early adopter. There may also be potential partners who are looking for you. Maybe they see your company as a way to distribute their product or service and want to create a revenue stream for both of you. Or maybe they see you as a potential acquirer. You also want a good reputation in your community. Suppose you need agency approvals for something you want to do with your company. If you can be seen as an asset to the community, your chances for success can rise. Having all your audiences work for you is much better than simply relying on your sales team to grow the business. Consensus about your company’s strategies and business plan should be an ultimate goal of your communications efforts. I feel I need to add a postscript to this post. The Maytag story unfortunately has a sad ending. For over four decades the brand was associated with reliability. I don’t have any inside knowledge about what their management was thinking but I can tell you from personal experience, it became very hard to be a customer. The Energy Policy Act of 1992, which mandated significant reductions in energy use in consumer appliances, had a big impact in the appliance industry. This legislation made older designs obsolete. Apparently, the leadership at Maytag wanted to be first to market with products which complied. They introduced the Neptune Line of Washers and Dryers. Maytag’s washing machines were the flagship products for the company. The previous products were based on a design platform which was first introduced in 1949. Over the years, most of the product changes were cosmetic. The functional way the appliances performed was unchanged. The heart of the product, the mechanical “works”, was manufactured in a factory which had been built during WWII to build military tank tracks. So it had been decades since there was a design change of this magnitude. The new design platform was rushed to market. The culture at the Maytag I knew would not introduce a new product unless it was substantially better than the competition. Maytag might take years between launches. The Maytag Dishwasher, for example, was clearly a cut above anything else even though Maytag was a latecomer to the market. Until the Neptune launch, I personally owned a Maytag Laundry Pair for over 25 years. I purchased them from “service school” at Maytag (lonely hearts club) where they had been disassembled and reassemble over 300 times. They lasted another 25 years for me. Confidently, I purchased a Neptune washer and dryer, as I thought I knew what to expect. In a matter of a few years, I had 13 service calls. One of the last issues I had was a situation where a bobby pin fell through the soap dispenser and lodged in the impeller in the pump of the washer. This was the final straw for me. I decided I knew enough about Maytag’s assembly techniques, that I could find the offending issue. And I did. But I had over 300 components on the floor around me. I reassembled everything and “voila”, it all worked again. But I was now over-the-top angry and embarrassed I had ever bragged about the company to anyone. I wrote a letter to the president of the company expressing my embarrassment, especially with a defect which was clearly avoidable. He never responded; probably had too many letters. Rather than being top-rated, Consumer Reports now had Maytag as a bottom rated company. It was no surprise their financial results deteriorated. A few years later Whirlpool bought the carcass of the company and now it exists merely as a brand with little equity. Had the brand been known for low cost or another attribute, the quality story might not have had the same impact as I might have different expectations. But the fact that a brand known for high quality delivered low quality was a death knell for me.